The data was extracted from the State copies of Official Returns of Death filed with the Lowell City Clerk. The records are on-line at https://www. 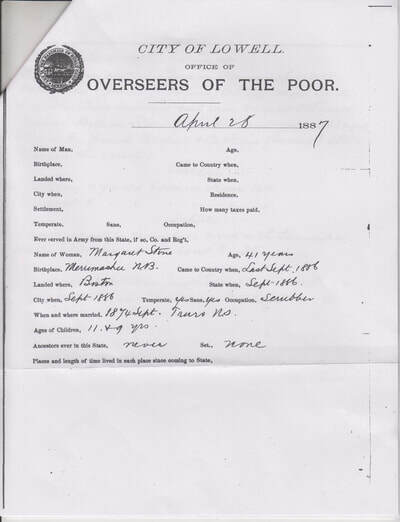 Familysearch.org under Massachusetts, Indexed Historical Records, State Vital Records, 1841-1920. The Lowell deaths are in Volumes 60-63. 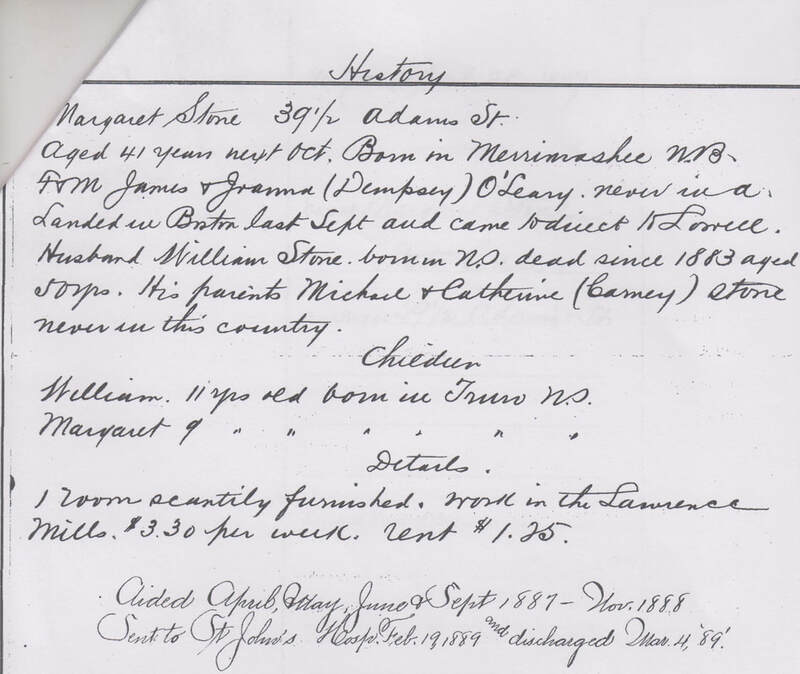 The records of Almshouse residents and Reform School inmates are taken from the printed Reports published in the Lowell City Documents. The names were printed only for the years below. These records have been [temporarily ?] deleted. These are a record of children who had interacted with the Truant Commissioners. Entries in RED indicate those arrested for truancy and sentenced to the Reform School. The original entries were written in red also. NOTE:When the database was originally created the Year and Page were entered for each record but the Date was omitted. When we decided to consolidate the several databases, we found that one set of records was missing. 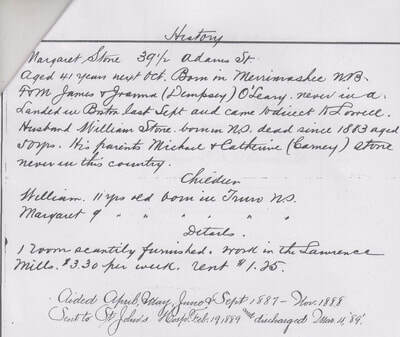 Those missing records were added and the Date was filled in. Because of several sortings of the original database, it became painfully clear that to enter the Date of each record would be a very long and painfully tedious task. Those missing dates will be filled in a future project. The original databases were created by a Library staff member on several disks. Consolidation of those records, as well entering additional entries was done by Diane Laferriere, Karen & Walter Hickey. Work permits issued by the Lowell School Department for enrolled students. Information about employer, birthdate, country of origin, and residence. The work "history" of each person is on one page. Compiled by local researchers Walter Hickey, Karen Hickey and Diane Laferrierre.